This compass key fob is designed for use on your keychain. 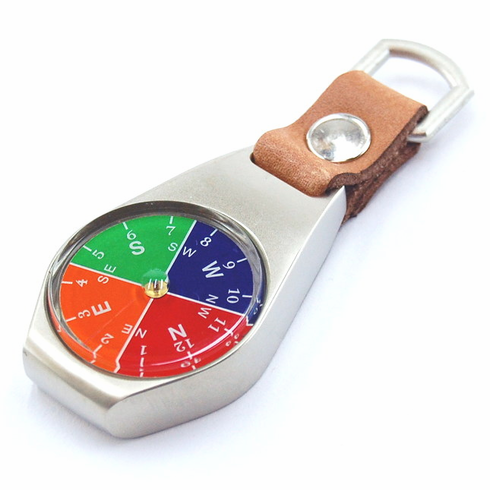 The compass card of this key-chain compass is embedded into a heavy solid metal key fob featuring a short leather strap. The rear of this 1.25in wide key fob is flat and suitable for engraving.